• Veteran Infantry General with 40 years of varied experience in national, international fields and UN. 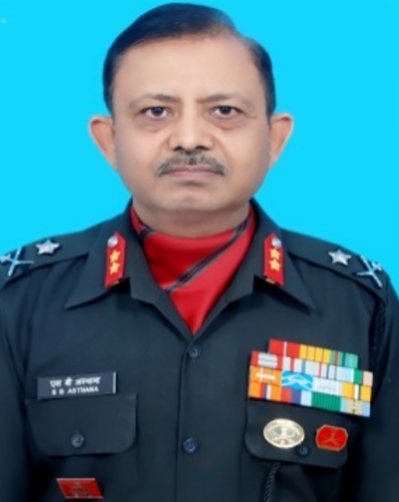 Former Additional Director General of Infantry of Indian Army and Head of Training at Defence Services Staff College Wellington. Awarded twice by President of India, twice by UN, and CEE excellence award for Nation building by Governor of Haryana. Presently Chief Instructor of all Courses for military officers in United Service Institute of India. Prolific strategic &amp; military writer/analyst on international affairs. Authored over 91 publications/articles and over 100 blogs, on international &amp; National issues. Has been interviewed by various National and International media channels in various appointments in India and abroad, including frequent discussions/opinions on WION, Rajyasabha TV, NewsX, Doordarshan, Samay TV, APN TV. Interviewed by Sputnik, SCMP (Six Times), Global Review (Germany) five times, Safety &amp; Security International (Germany), Financial Express, The Sentinel and ANI (Several Times). Editorials in Financial Chronicle. Writing for&nbsp; Washington Post, The Guardian, Modern Diplomacy (EU and Africa), Global Review (Germany), FDI(Australia), Korea Times, Economic Times, South China Morning Post, Global Times (China), Asia Times (Australia), WION News, Russian International Affairs Council (RIAC) Journal, Tuck Magazine(Australia), Eurasian Review, Business Standard, Diplomacy and Beyond, Indian Defence Review, GIAP Journal, USI Journal, Indian Military Review, Synergy Journal, ANI, Kootneeti, Borderless Newsonline, National Defence, Salute, Newsmobile, and Newsroom 24X7 in different forms, besides own publications. Currently on Board of Advisors in International Organisation of Educational&nbsp;&nbsp;&nbsp;&nbsp; Development (IOED), Confederation of Educational Excellence (CEE), and Security Council of United Nations Association of India (UNAI), United Nations Collaboration for Economic and Social Development in Africa (UNCESDA), International Council on Global Conflict Resolution (ICGCR) and International Police Commission (IPC). Life member of various Think Tanks like IDSA, USI of India, Center for Land Warfare Studies &amp; FDI (Australia).